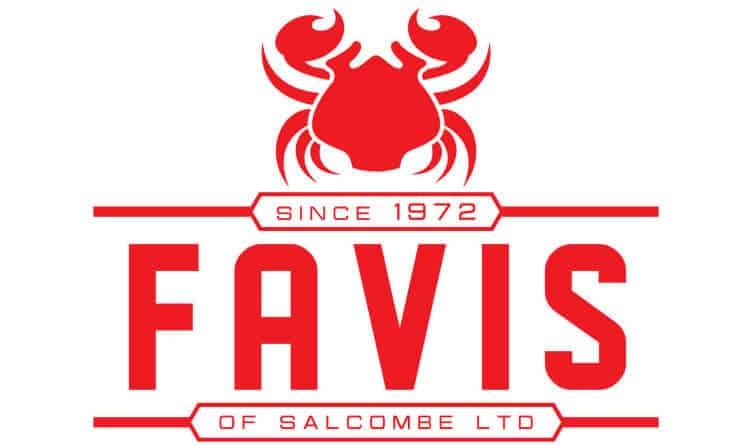 Ever wondered who is responsible for finding that quintessentially Salcombe crab for your sandwiches? 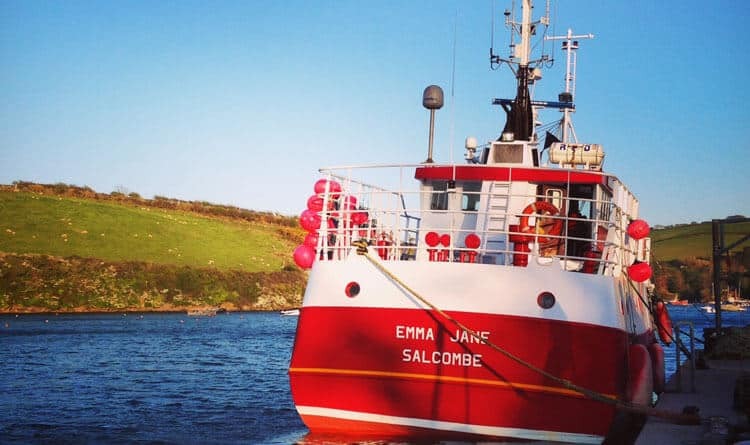 We talk to Pippa Favis from the family run Favis of Salcombe, whose boat the Emma Jane is one of the area’s most recognisable crabbers. See if you can spot her on the estuary next time you’re out and about, and don’t forget to wave! 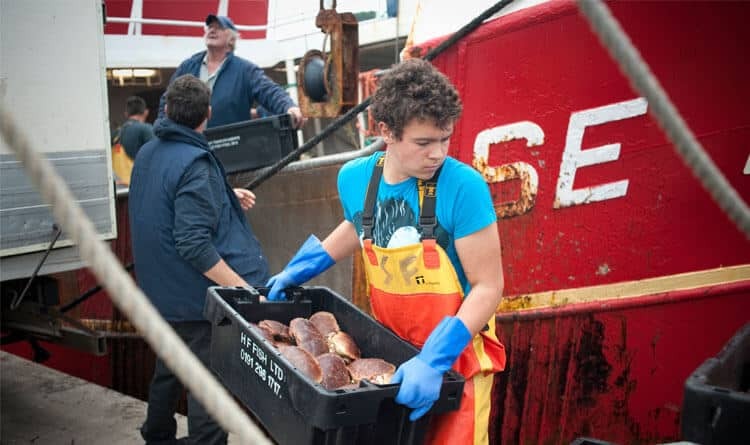 An average day for the company involves the boat coming in from the sea, landing the crab and then taking it up to our unit at Torr, where it’s cooked, chilled, hand-picked packed and sent to restaurants, hotels and wholesalers. In 1976 my husband’s father, Keith decided to stop being a lorry driver and change careers, so he bought his first fishing boat. 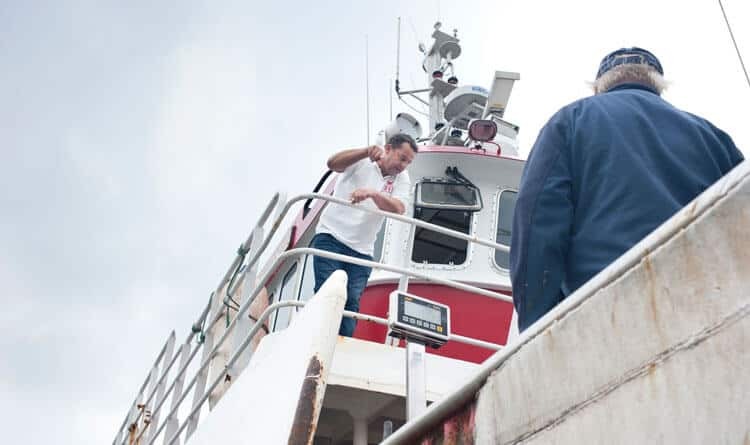 As the business grew, the boats got bigger and more family members joined the team. 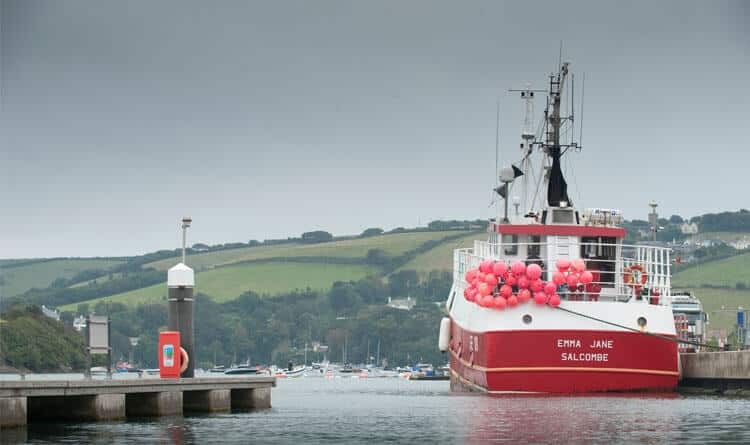 In 1989 the business was large enough that we decided to have our own boat built, which resulted in the 60ft Dutch crabber that you see today; the Emma Jane. Then in 2014 we grew even further, expanding the business even more by buying Blue House Crab (a small crab picking company) and our new unit at Torr. 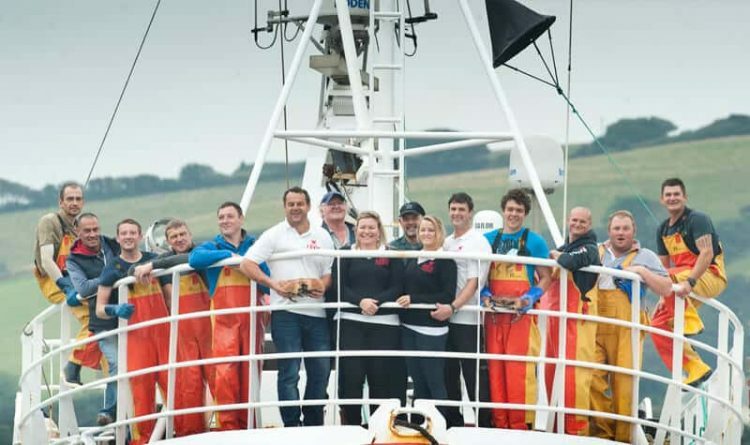 What makes Salcombe crab and lobster so popular? South Devon crab has a worldwide reputation for being the best because of the nutrients in and cleanliness of the water. The crab is also allowed to hibernate in the winter, which gives them time to grow. What are your policies on sustainability? 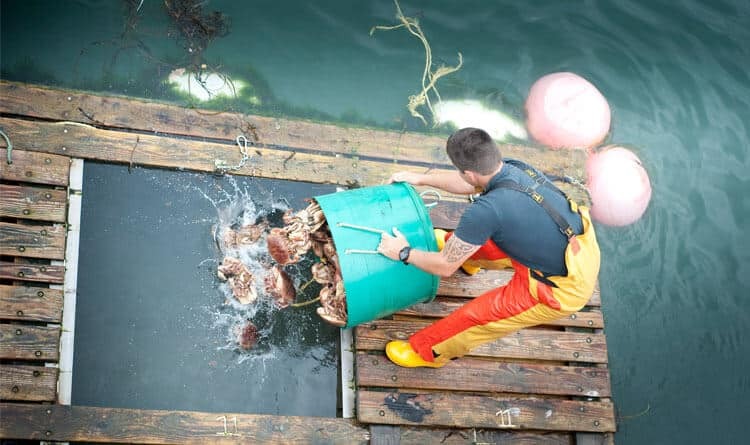 We don’t keep crab that is under size or has berries (eggs), and we make sure that anything that is put back into the water is still living and will stay alive and continue to grow and breed back in the water. All under size lobsters are also put back into the water. What’s unique about your work in Salcombe? Crabbing is pretty much the same everywhere, but it is the product itself here that is really special. As a company we are unique because we do everything. 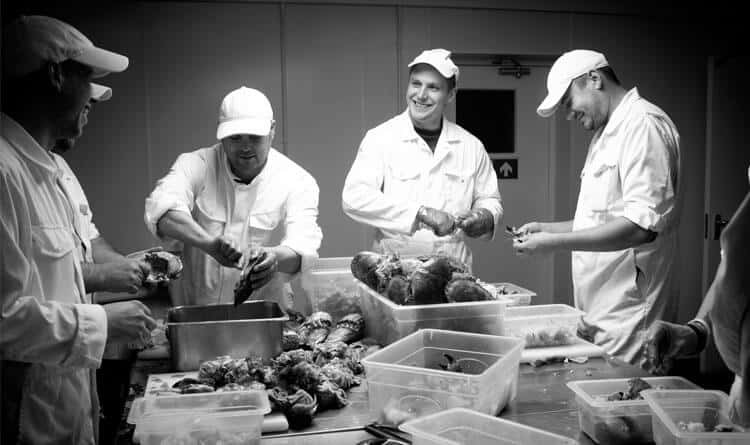 We catch the produce, land it, cook and 100% hand pick it, package it and deliver it – everything is in-house. The fact that we work so well together as a family – everyone gets on and it’s a really nice atmosphere. What’s been your strangest experience on the job? We have hauled many strange items in with the pots over the years – pieces from wrecks, parts of planes etc., but for my husband Nigel and his brother Kevin (company directors and former skippers of the crabbers), it is the day we rescued a French canoeist in the middle of the English Channel over 30 miles out to sea that really sticks in the mind. The weather was fairly rough and a canoeist was the last thing you expected to see that far out! 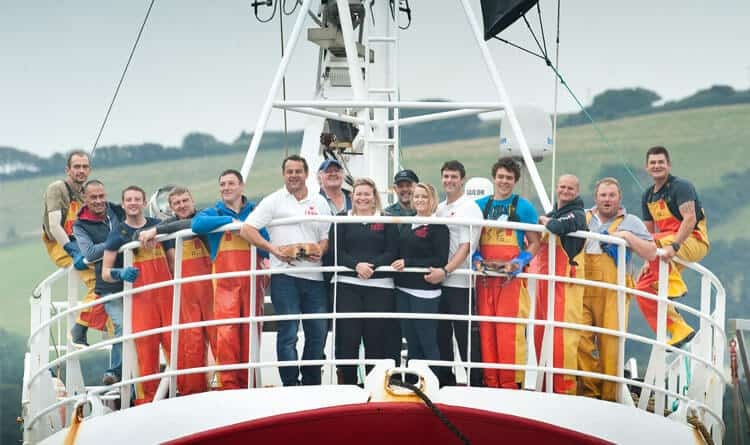 The team picked him out of the water and took him back into Salcombe, but all the canoeist was concerned about was that we didn’t damage his canoe when rescuing him! We would like to see more crab and lobster sold and eaten in this country. As an island I don’t think we eat enough of our own shellfish, so much of it is exported. We are really excited about expanding our UK client base and getting as many people eating our crab as possible. It would be nice to see it in more hotels and restaurants across the country, especially the handpicked crab that we specialise in. 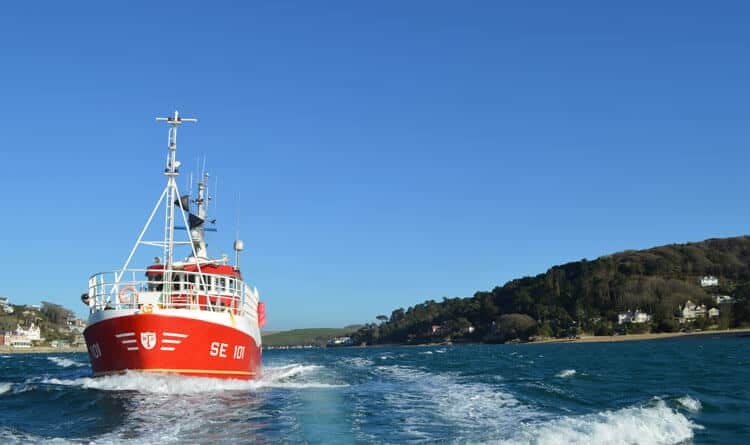 What’s your favourite thing to do in Salcombe? Going for walks, enjoying the beautiful town that we live in, going out on the water, and eating in the restaurants. What’s your favourite thing about the South Hams? I love the beauty and slow paced, relaxing life in the South Hams. However, it is also one of the most exciting places to have and grow a business. There is so much support and networking to be had here, it’s a great business hub.